Mouse Computer has this week taken the wraps off their new rugged Windows tablet the LuvPad WN701, which has been been designed to be a little more splash proof and shock proof than others on the market. 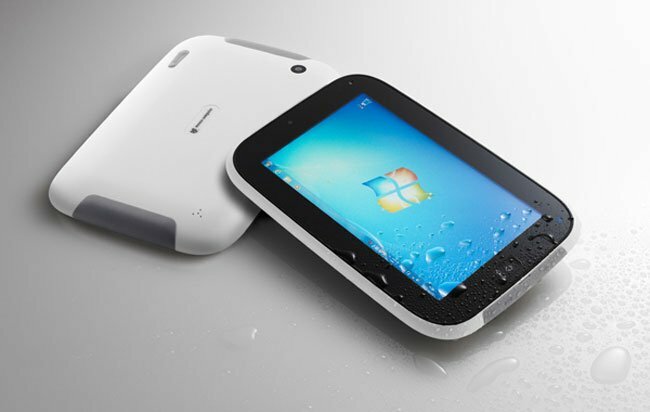 The LuvPad WN701 tablet comes with IP44 certification, confirming it can withstand water splashes and will also survive a 70cm drop. The LuvPad WN701 Windows tablet is equipped with a 7” touchscreen 1024 × 768 resolution display and is powered by a Intel Atom Z650 processor supported by 2GB of RAM. Onboard storage is provided by a 32GB SSD and connectivity is provided by both Bluetooth and 802.11 b/g/n WiFi, but unfortunately no 3G connect is available. Mouse Computer will be launching their new LuvPad WN701 Windows tablet is Japan this month and it will be priced at around $600 or 49,000 Yen. Unfortunately no information on worldwide availability has been released as yet.